This location offers its clients with a premium office experience to go along with the business professional atmosphere. Offices come fully furnished or unfurnished, either way, you will have the opportunity to fully customize your space. Located in the heart of Riverside, this building is surrounded by a local atmosphere that all can enjoy. Restaurants, shopping centers and local transportation are all within walking distance of this location. 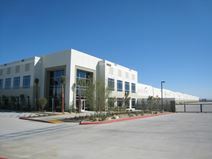 This flexible and fully customizable warehouse space offers companies with a multitude of features that help set itself apart from the competition. Offering companies with all inclusive pricing plans means that you will not have to worry about hidden fees popping up after the lease is signed. 24 hours access allows you to come into the office at any time, ensuring that work can always get done. Many local parks. A great and popular area of the Turner Riverwalk in the Inland Empire is offering a host of attractions such as hotels, retail outlets and restaurants, and conveniently located to highway 91. The offices are furnished and designed to a high standard.